Apple hasn't said anything about the issue yet. After months of waiting and a long series of rumor, Apple finally revealed the MacBook Pro 2018 last week. With the upgraded MacBook Pro the tech giant has replaced the last generation processor with the Intel’s latest innovation. Apple launched the 15-inch MacBook Pro embedded with Intel's top-notch core i9 processor that ranges from $30,09 to $6000. However, the early test carried out on the MacBook Pro reveals that the new processor isn't able to reach its full potential. 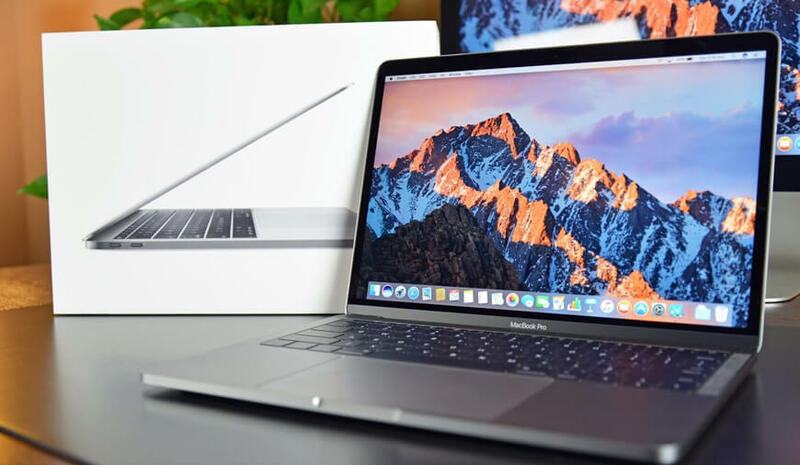 Dave Lee, a YouTuber who got his hands on the latest Apple release for an early test shared his test results He posted a video on his channel sharing the test performed on MacBook Pro 2018 with Core i9 processor. During the test, the MacBook Pro struggled to maintain even its base clock speed at full utilization. After the couple or preliminary tests by the prominent YouTuber, it was found that Macbook 2018 isn't what the company claims it to be. According to Lee tests, the laptop’s thermal throttling is the reason for the MacBook Pro underperformance. “This CPU is an unlocked, overclockable chip but all of that CPU potential is wasted inside this chassis — or more so the thermal solution that’s inside here,” said Lee. The test shows that the processor gets overheated when taxed with a number of tasks. However, Lee is the only one till date coming up with this disappointing MacBook Pro results. So, there is a chance that he might have received a model having the overheating issue specifically. We hope this could be nothing more than a defective model; otherwise, Apple is up for a really big bad press with some troubling Q&A. Moreover, the overheating problem is the issue that can not be fixed by deploying further software patches. Apple needs to address the problem as soon as possible and come out with the proper explanation to the users. The improper thermal management is the hardware issue so the company could recall the laptops in the future. However, until we get the answers directly from Apple about this thermal throttling controversy, we can't say anything for sure. Get A Galaxy S9 For Almost Free On DrakeMall?